We have seen a number of companies helping start-ups and small businesses offer employees the same benefits as their larger equivalents: AnyPerk enables companies of all sizes to secure perks for their workers, for example, and now Honest Dollar is helping startups create retirement plans for their employees, by reducing many of the associated fees and hurdles. Over 70 million people in the US currently don’t have a retirement plan, often because the expense and hassle involved deters employers from setting them up. 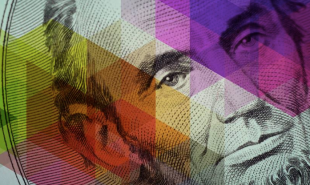 Honest Dollar, itself a startup, hopes to simplify the process with its comprehensive platform. The service offers an affordable alternative to a 401(k) plan, which can be both expensive and time consuming to initiate. Instead, the plans are structured as a SIMPLE IRA. There are no setup fees and businesses are charged only USD 10 per employee per month to make the service available to their workers. Employees can contribute up to USD 12,500 a year to their plan, which has lower fees than the typical 401(k) plan. Honest Dollar has recently launched a public beta which welcomes small businesses and startups with up to around 50 employees. The final platform will also include an app and dashboard for users to manage their retirement accounts easily. Are there other ways to get more people set up with pension policies?